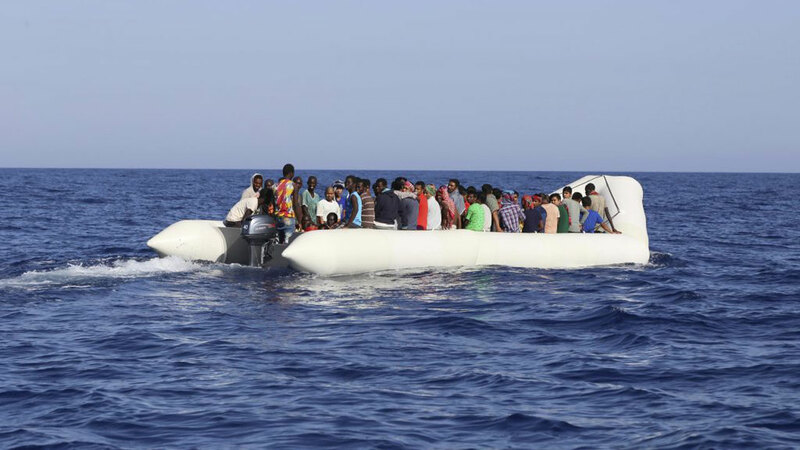 A non-governmental organisation, RARDUJA International, has said that 1,200 Nigerians seeking greener pasture abroad died in their attempt to reach Europe through the desert and the sea last year.The group also revealed that while about 12,000 Nigerians were brought back last year from Libya alone, 63,000 are still currently trapped in that country awaiting repatriation. Founder and President of the group, Eddy Duru disclosed this yesterday at a seminar organised in conjunction with University of Lagos and Nollywood Actress, Funke Akindele-Bello at the institution. Duru decried the low level of awareness among the populace on the dangers associated with unplanned migration, saying that more than 80 per cent of Nigerians are still in the dark. Bray, represented by the Public Affairs Officer, Russel Brooks, stated that America is interested in investing in the youths to generate new ideas and services that can put Nigeria in her rightful position globally.He, therefore, urged the budding young entrepreneurs to see themselves as risk takers who should be ready to face all odds without looking at the negative consequences in the quest to reach for the stars.He said the U.S. was interested in the Nigerian youths entrepreneurship because of its belief that the body of youths represents solution to the nation’s economic dilemma. Oyo State Governor Abiola Ajimobi, while declaring the conference open, advised youths and budding entrepreneurs to develop positive mental attitude and be prepared to take risks to succeed. Ajimobi said that any of the youths with humble background should not consider such as a stumbling block towards succeeding in life, stressing that he also came from such parentage. Also, the United States Embassy Charge D’Affairs, Mr. David Young, has stressed that the pre-occupation of the U.S. is to ensure peace in the world.Young spoke yesterday at the National Film Institute Auditorium, Jos, on the occasion of a premier documentary film by Kenneth Gyang on the heroism of Imam Abdullahi Abubakar who saved over 200 Christians in his mosque during the June 2018 bloody clashes in the state, especially in Barkin-Ladi. He said that one of the things he had seen during his visit to Plateau State is the importance of people who act as peace-makers.